Among the proud recipients of the UCD Entrance Scholars Awards were two former students of CBS Kilkenny. 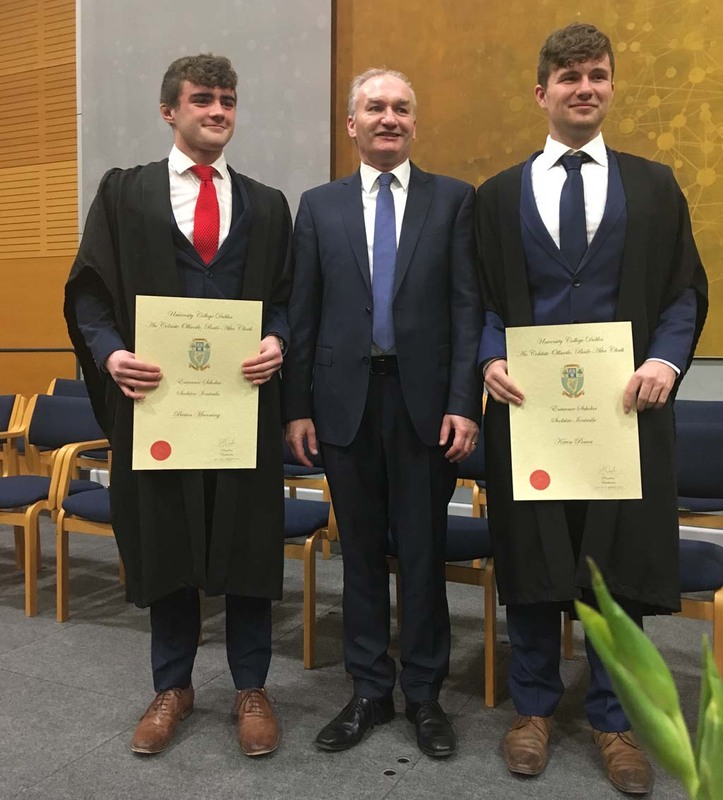 On November 15th 2017, these young men, accompanied by Principal Tom Clarke, received their awards in O'Reilly Hall, UCD. In order to qualify a student must attain in excess of 560 CAO points in his Leaving Certificate exam. Kevin Power is now in the UCD College of Business studying Commerce, while Brian Manning is pursuing Actuarial Studies. Everyone in the CBS community is very proud of these young men and their great achievements, and we wish them well in their future studies.